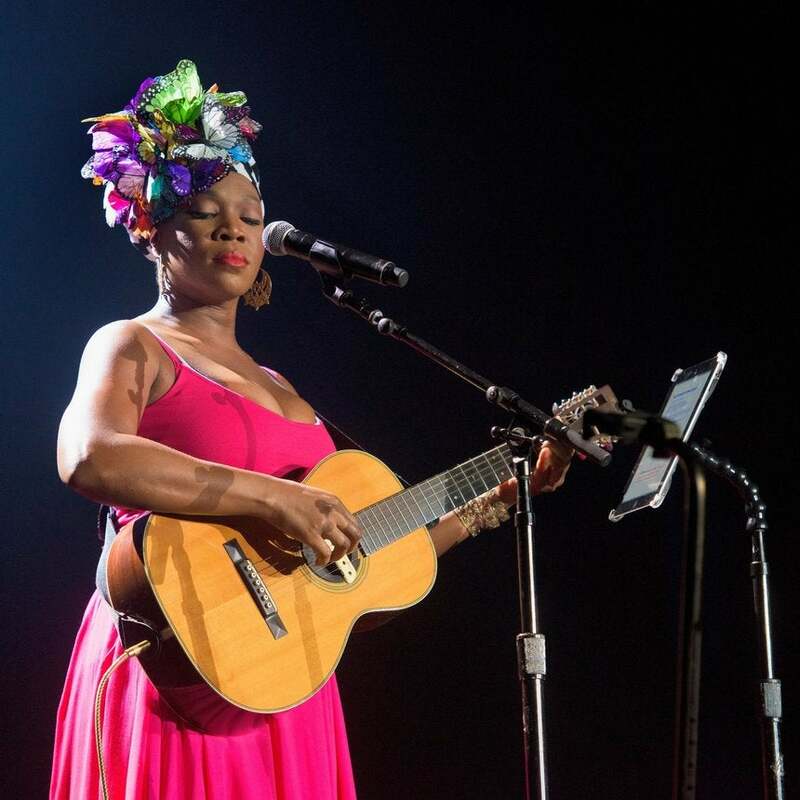 For India.Arie, this has been a very merry holiday season thanks to her new album Christmas with Friends. The yuletide collection—whose accompanying tour wraps Dec. 21 in Nashville—pairs the four-time Grammy winner with the great jazz pianist Joe Sample, who passed away before completing the project, as well as guests like Kem and Brandy. With just a week left until the big day, the singer has plenty of festive spirit to spare. How did you come up with the idea for this album? It was because of Joe Sample. I was not trying to do a Christmas album, I just really wanted to work with him, and this seemed to be the best way because the songs were already written. He was always one of my heroes, so it was a dream come true for me. But he got sick while we were [making the album], and after he passed away in September 2014, we came back this year and did all of the guest appearances. You collaborated with everybody from Michael McDonald to Brandy to newcomer Tori Kelly. How did you get them all to jump on the album? I didn’t have to convince them at all. Everyone that I asked said yes. I did not expect that. I thought I was going to have to ask a lot more people to get some yeses. And actually Brandy asked me. I said, “My album’s done” and she was like, “It ain’t done until I’m on there! I need to be on ‘Silent Night. '” But I also wish that Stevie Wonder was on here, because we had something and then he just didn’t finish it. Your mom cowrote the only original song on the album, “Favorite Time of Year.” How did that work out? I was working in the studio with [producer] Aaron Lindsey, and she just said, “I’m going to come over there. I have something for you.” She started singing it, and I laughed so hard because it was so good. That’s my family [mentioned in the song]. My mother is good at a lot of different creative modalities. She has made all my stage clothes all these years. She’s written on some of my other songs too. Do you have an all-time favorite Christmas song? “This Christmas” by Donny Hathaway is one of my favorite songs period, but it’s certainly my favorite Christmas song. I can just listen to it back to back to back like 10 times. It doesn’t have to be Christmas, but when it is Christmas it gives me a reason to play it. It’s a Black American classic Christmas song. You’re coming up on the 15th anniversary of your debut, Acoustic Soul, in 2016. How do you feel looking back on that now? There’s nothing I would change. I was where I was back then. I hear Acoustic Soul now and hear a really young person. There are some things where I’m like, “Ooh, I did that? No, no, no.” I know I was doing the best I could back then. For my music, I always do the best that I can. That’s why I’m still in the music industry, because the music is the impetus for all the growth and self-reflection and hard work you have to do to keep going. India Arie’s Christmas with Friends is available on iTunes. Catch her on tour.